The kitchen sees plenty of activity, especially if you have kids the house. It’s the heart of your home where people can relax, prepare meals and generally spend time. Of course, you wouldn’t have it any other way, but this constant activity does make it difficult to keep the hub of your family life organised. A cluttered, messy kitchen can be frustrating, leaving you with little room to relax in and even less room to use when preparing a meal after a long day at work. 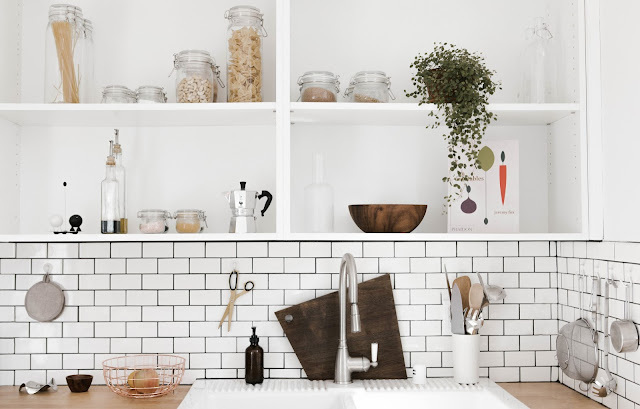 Luckily, there are lots of simple ways you can get your kitchen organised with minimal effort. 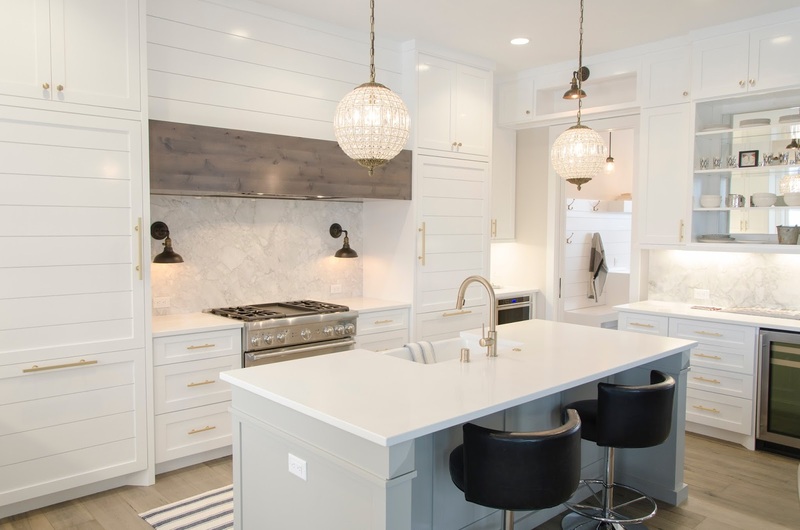 Using these 5 tips, your kitchen will be looking brand new in no time at all. Before deciding where everything goes, split your kitchen equipment into two categories: the items you use every day and the stuff which gets used pretty rarely. Now you can place everything accordingly. Plates which you use every mealtime should be easy to reach, while the fine china you only use for Christmas and birthdays can afford to be hidden away on a top shelf until you need it again. The same process also applies to your food items by putting your favourite herbs and spices at the front of a cupboard, while placing baking items somewhere a little further back. Don’t make the mistake of only considering your cupboards and units when thinking about storage space. Your ceiling is a storage opportunity waiting to be put into action. Pan racks are a popular feature in any kitchen, as pans are famously tricky to store in drawers and cupboards. A pan rack allows you to turn storage into a feature, keeping your kitchen organised while saving space elsewhere for other items you need to store. A lot of kitchen items come in a variety of sizes. We’re talking about pans, plates, bowls, cups and Tupperware — none of which comes as a single ‘one size fits all item’. In order to accommodate all the various versions of these items within your kitchen, be sure to store them in size order, placing the smaller items on top of or inside the larger ones. This will cut out the risk of messy cupboards and will save you space which can be used for other items. Organising your family will also help to organise your kitchen, which is why a notice board or whiteboard can be a great addition to the hub of your home. As a space where people are constantly passing through, your kitchen is the perfect place to display notes or reminders which will keep your household informed of what needs to be done when. It’s the ideal location for displaying a calendar, or a chores rota which ensures your kitchen gets cleaned on a regular basis. Too often, our cookbooks sit gathering dust (and taking up space) in a kitchen cupboard for months on end. Although we mean well when we buy them, it’s hard to find the time to cook a complex meal in between household errands and working hours. However, finding a place in your kitchen to display your cookbooks has the double benefit of turning them into a pleasant visual feature and making you more likely to actually pick them up and use them, seeing as you are looking at them every day. EKCO kitchens are designed with your needs in mind, so why not get inspired for a kitchen makeover by exploring their stunning Glasgow kitchen showroom today?